Emerging markets are broadly defined as nations in the process of rapid growth and industrialization. Often times, these nations are transitioning to an open market economy with a growing working age population. The term itself was coined in the 1980s, by Antoine van Agtmael, as a more positive alternative to the then-popular term “less economically developed country”, or LEDC. 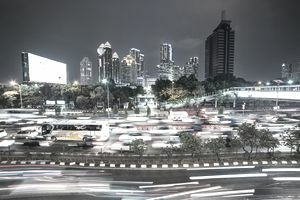 The MSCI Emerging Markets Index, a widely accepted standard in the financial industry, currently includes 21 countries on its list of emerging markets. As of May 30, 2011, these countries included Brazil, Chile, China, Colombia, Czech Republic, Egypt, Hungary, India, Indonesia, Korea, Malaysia, Mexico, Morocco, Peru, Philippines, Poland, Russia, South Africa, Taiwan, Thailand, and Turkey. Emerging markets, from China’s economy juggernaut to Hungary’s still-developing economy, often share a set of defining characteristics. While these characteristics may help support growth, there are also several risks to be aware of before investing. Transitional Economy – Emerging markets are often in the process of moving from a closed economy to an open market economy. While everyone hopes the result is favorable policies, there is also heightened political and monetary policy risk. Young & Growing Population – Emerging markets often have younger populations capable of spurring strong long-term growth rates by replenishing aging workers and consuming goods. But, younger populations can also lead to an increased risk of political instability. Underdeveloped Infrastructure – Emerging markets are often in the early stages of building infrastructure. While this means there is often pent-up demand for government spending, it can also mean higher costs and less efficiency for businesses. Increasing Foreign Investment – Emerging markets usually see strong foreign direct investment, which can be a good sign of anticipated economic growth ahead. However, too much capital can quickly lead to an overheated market ripe for a correction. The widespread popularity of emerging markets (and propensity for acronyms in the financial industry) has made it easy to find and remember the best emerging markets. Jim O’Neill of Goldman Sachs coined the first acronym in 2001 to represent the four fastest growing emerging markets. BRIC – an acronym for Brazil, Russia, India and China – has since become a ubiquitous term in the financial markets. In 2005, Goldman Sachs decided to expand that definition to include eleven countries that it dubbed Next Eleven, or N-11. These countries included Bangladesh, Egypt, Indonesia, Iran, Mexico, Nigeria, Pakistan, Philippines, South Korea, Turkey and Vietnam. Some of these countries aren’t included on the MSCI Emerging Markets Index, because MSCI has grouped them into what it calls Frontier Markets. In 2009, HSBC began promoting CIVETS, a term first coined by Robert Ward from The Economist to include Colombia, Indonesia, Vietnam, Egypt, Turkey and South Africa. And then, in 2011, Fidelity began promoting the MINTs, which include Mexico, Indonesia, Nigeria and Turkey. But ultimately, the status of any emerging market depends on its policy, politics and import/export dynamics at any given time. Emerging markets represent countries with tremendous growth potential, which makes them a very important component to any well-balanced portfolio. The most common way to gain exposure to emerging markets is through Exchange Traded Funds (ETFs). These funds offer built-in diversification by including exposure to several emerging markets in a single security. The proper amount of exposure, or asset allocation, given to emerging markets remains a hot debate. Experts have traditionally recommended investing about 5% of a given portfolio in emerging markets. But with the maturation of many emerging economies, some experts are now recommending closer to 8% to 10% allocation. And, as these economies further mature, that number could grow even larger. Keeping this in mind, investors should always consult a financial advisor before making any investment decision. Emerging markets are nations in the process of rapid growth and industrialization. Emerging markets typically have higher growth prospects, but a greater risk profile, than developed countries. Most experts advise a 5% to 10% allocation for emerging markets, but investors should always consult their financial advisor before making any investment decision.